The key service of ISSL is to electronically store the shares and securities owned by the investors. The entity that stores the enormous data is called Depository Participant (DP). ISSL is a registered DP with both NSDL (National Securities Depository Limited) and CDSL (Central Depository Services Limited). 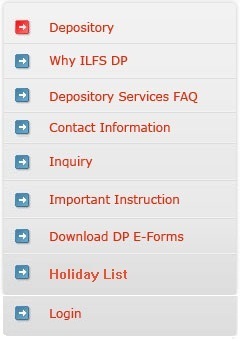 Depository service is one of the most technologically advanced services in the financial sector. Each investor holds a dematerialization (demat) account under which shares and securities are maintained. As a result, stock trading is free from delays, theft, forgeries and last but not the least, from paper work. The ISSL team aided by the latest technological expertise, online connectivity and synchronization of their extensive network ensures perfection in the entire operation. Shop no 8, "Casa Nina"